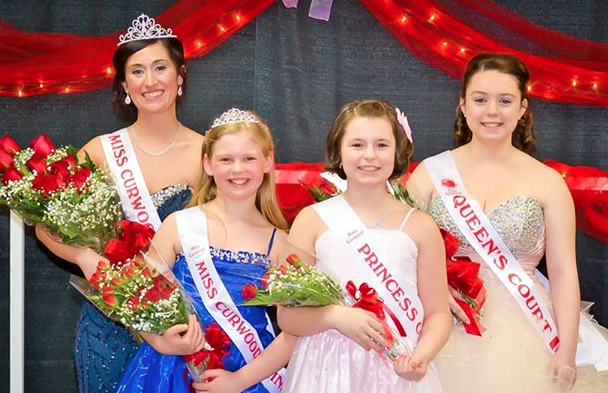 The 35th Annual Miss Curwood Festival Queen & Princess Pageant was held on Saturday, March 14th, 2015. During the pageant both queen and princess candidates are asked questions about themselves, their community and of course, Curwood. Lauren Graham, 19, was crowned Miss Curwood Festival 2015. Lauren is the daughter of Mike Graham and Kathy Miller. Lauren graduated from Owosso High School in 2013 and is now a sophomore attending Lansing Community College. Lauren listed fishing with her dad, hanging out with my dog, skiing, attending country concerts and riding quads as her favorite activities. Her sponsor is CLH Insurance - Mike Ardelean. Deanna Williams, 18, is the daughter of Tracy and Steve Williams. She is an Owosso High School senior. Deanna listed reading, painting, drawing, music and hunting as her interests. Her sponsor is Hankerd Sportswear. Marisa Rose, 9, was crowned Miss Curwood Princess 2015 in early March. Marisa is the daughter of Scott and Becky Rose. She is a fourth grader at Bryant Elementary. Marisa listed dance, piano, Girl Scouts, softball, cooking and poetry as some of her special interests. Lily Usher, 9, was selected to be the Princess's Court Member. Lily is the daughter of one of Curwood's very own, a past royalty member. Lily is a fourth grader at Central Elementary. Lily enjoy soccer, swimming, softball, volleyball, music and art.